So, we’ve shown you the 10 weirdest collections in the world, so we thought it was time we shown you the coolest collections on the planet. These are items that people across the world would love to own. Prepare to become very jealous! Some people dream of owning just one expensive car – but Sultan Hassanal Bolkiah owns not one, not two, but a mind-blowing 7,000 cars. His amazing car collection consists of 209 BMWs, 574 Mercedes Benz, 452 Ferraris, 382 Bentleys, 179 Jaguars, as well as Aston Martins, Lamborghinis, SS Cicero, BDB Maestro and more. Not only that but he owns various limited edition cars, such as the Ferrari Mythos, Bentley Java, Pininfarina-designed Jaguar, a Porsche Carma and a 4×4 Dominator, to name but a few. How does he afford it? Well, the Sultan has a whopping $20 billion net worth, and is the owner of the largest royal palace on Earth. Shoe-lovers across the universe, avert your eyes, as you are about to become insanely jealous of Jordan Michael Geller – who owns the world’s largest collection of sneakers. In fact, his collection is so big that he has bagged himself a Guinness World Record. 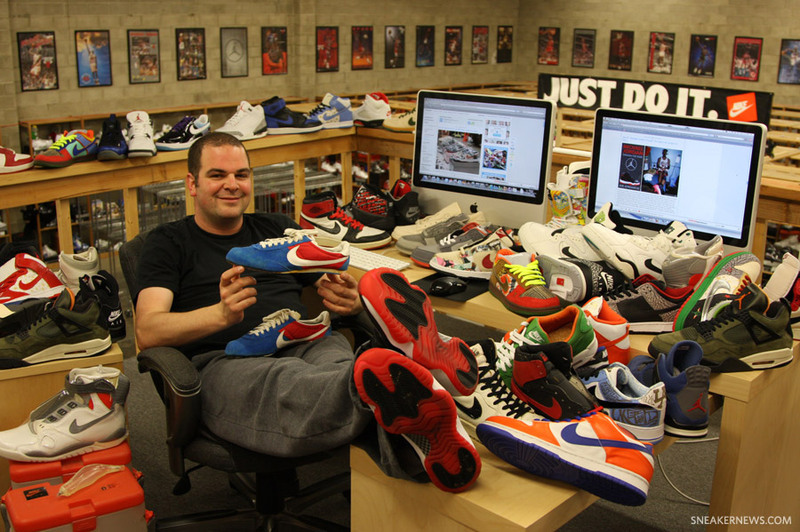 Jordy owns approximately 2,388 pairs of Nike sneakers, housing every pair the brand has produced, including the first Nike prototypes. which are though to be worth over a million US dollars. He even stores his sneakers in a warehouse that he’s coined “The Shoe-Zeum”. Derek Davis owns the biggest DVS collection in the world, as he owns an incredible 189,000 DVDs, stating that one day he left a store after purchasing 200 movies for $7. He doesn’t place them away in any old order either, as they are all organised by genre and then listed alphabetically. So, with all those films, he must never struggle to find a movie to watch, right? Well, it’s quite the opposite actually. He has so many movies that he says he often struggles about what movie to watch. There’s nothing better than a ice cold bottle of beer. If you’re a big beer lover, you’ll be greener than the Incredible Hulk when you check out Ron Werner’s collection on unopened beer bottles. 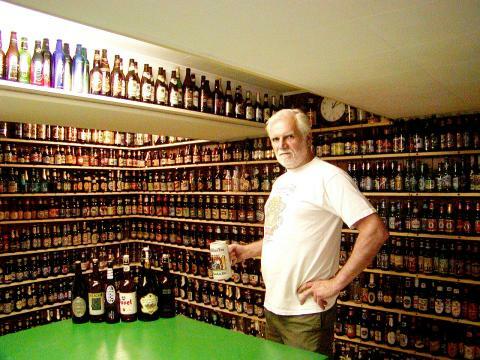 Ron set the Guiness World Record in 2012 for his collection of 25,855 individual bottles of beer, and he adds an estimated 1,000 bottles to the collection each year. It’s not just beer bottles he collects. Ron also collects other beer memorabilia, such as beer signs, mirrors, cans, tap handles and mirrors. We here at The List Love are massive Harry Potter fans, so we’re green with envy at Asher Silva Vargas, who owns the largest Harry Potter collection on Earth. He owns the Guinness World Record for collecting a staggering 3,097 Harry Potter items. 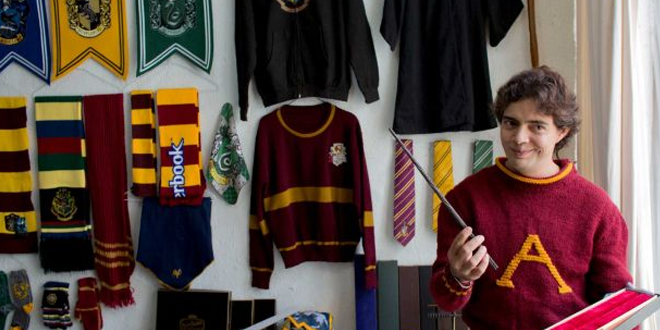 Asher, who is a lawyer in Mexico, has spent 14 years of his life building up his collection, which consists of everything from Harry Potter clothing, wands, figurines, books and more. 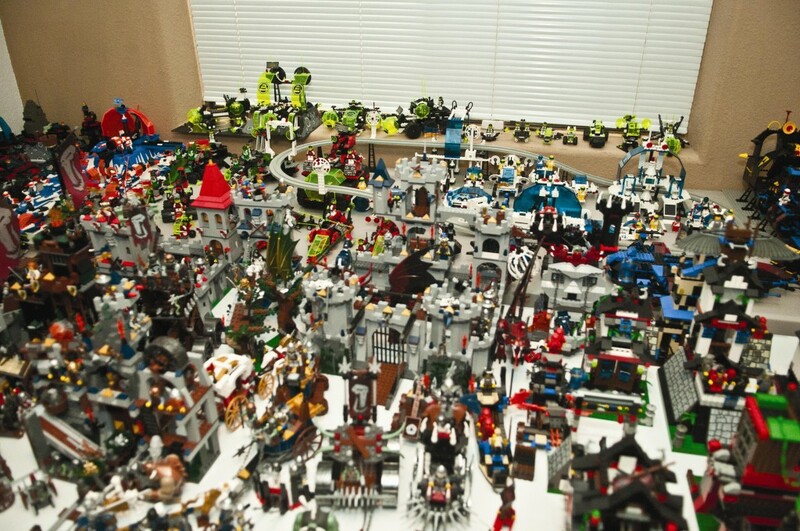 Marine Kyle Ugone set the world record for the largest Lego set collection in 2012, as he owns 1091 Lego sets that boasts over 5,000 individual pieces. Kyle has collected Lego since he was 5-years-old, and is a hobby and passion that has continued through to adulthood. Now that’s cool! Who doesn’t love a good candle? Well, we’ll tell you someone who loves them and that’s Lam Chung Foon from Hong Kong, who set the Guinness World Record on 23rd December 2011 for owning 6,360 different candles. He stated he started the collection in 1980 and she now houses her candles in four temperature-regulated showrooms. Why candles? 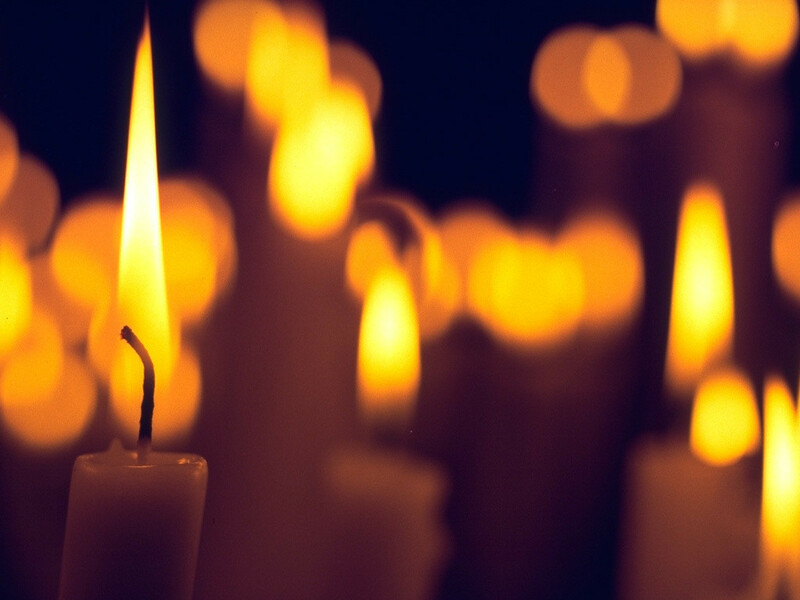 It’s a passion that’s in the family, as they have ran a candle manufacturing company since 1968. We bet their houses smell nice. 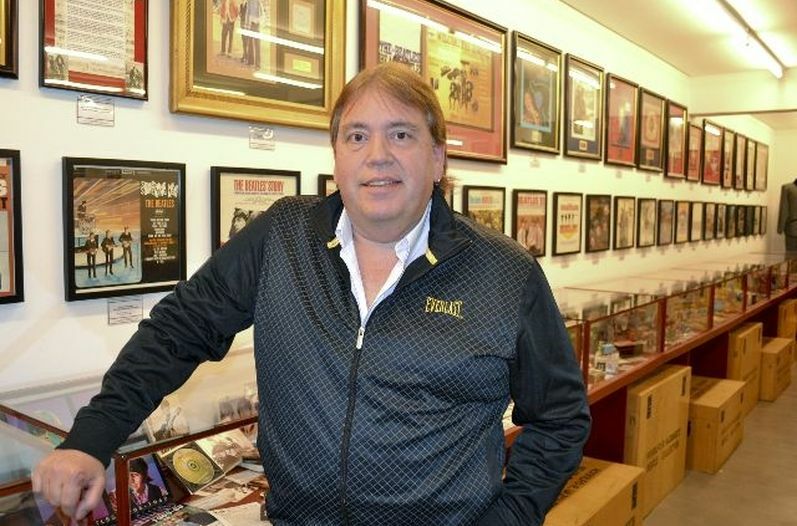 There are plenty of massive Fab Four fans out there, but no-one loves The Beatles more than Rodolfo Renato Vazquez from Argentina, who had 7,700 Beatles items in 2011, setting the Guinness World Record. He first fell in love with the rock ‘n’ roll band at the age of 10 years old, when he received the ‘Rubber Soul’ album. You can even visit many of his items in the Beatle Museum in Buenos Aires, which opened in January 2011. His memorabilia consists of numerous items, such as autographs, videos, books, records, CDs, photographs, posters, life-size figurines, programs, concert tickets and more. It’s not just Jordy Geller who loves shoes, but Joshua Mueller from the United States is partial to Converse sneakers. In fact, he owns the largest collection in the world at 1,546 different pairs. So, does he keep them nice and pristine in a box? Nope, he wears a different pair of Converse each day, and he has done for four years. However, he does go to extraordinary measure to keep his shoes clean, wrapping plastic bags on his feet when visiting dirty places. Santa Claus is not just for Christmas, not to Jean-Guy Laquerre from Canada, anyway! 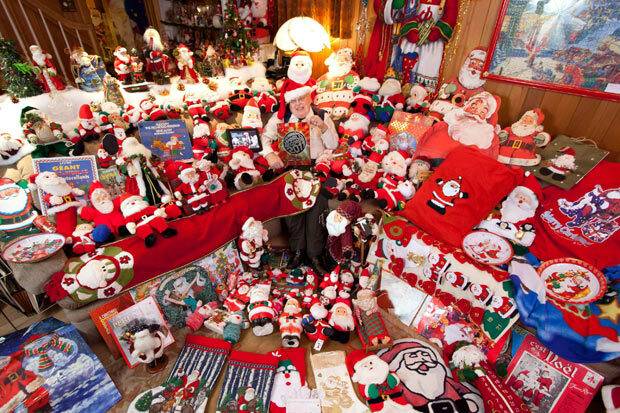 He has a total of 25,104 different items of Santa Claus memorabilia, which he has been collecting since 1988. He has 2,846 Christmas cards and postcards from 33 different countries, 2,360 figurines, 1,312 serviettes and 241 brooches and pins. We want to go to his house for Christmas! 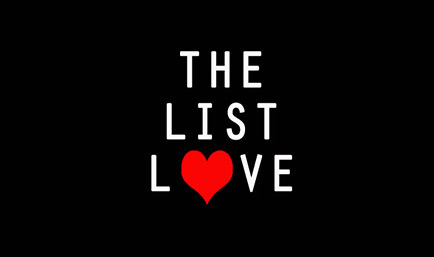 If you would like to stay up-to-date with the latest top 10 lists, follow The List Love on Facebook, Twitter and G+.